Lansdowne is a cantonment town in Pauri Garhwal district in the Indian state of Uttarakhand. 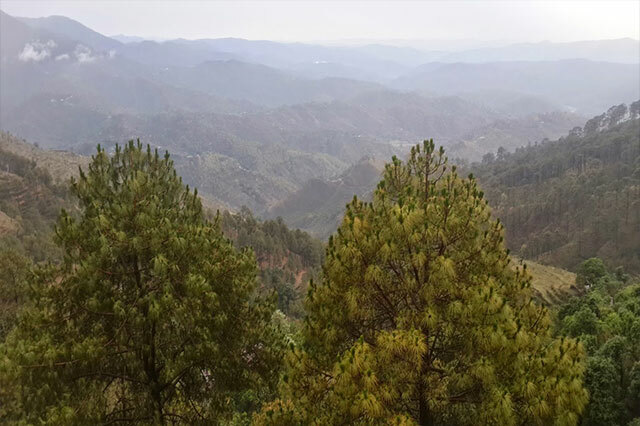 Lansdowne is a Military station developed by the Britishers, which is catering for the Recruits Training center of the Garhwal Rifles. The war memorial at the Parade Ground of the Garhwal Rifles Center is an attraction for the visitors. Area of the city is about 6.09 sq. km. Total population as per 1991 census is 7,106 with 4,415 male populations and 2,691 female population. The literacy percentage of the city is 89.58. The climate of the city is pleasant in summer, very cold in winter.